Cloth is sold in WHOLE YARD increments. Please select your tartan, then select the number of yards by changing the product quantity (next to the "Add To Cart" button). 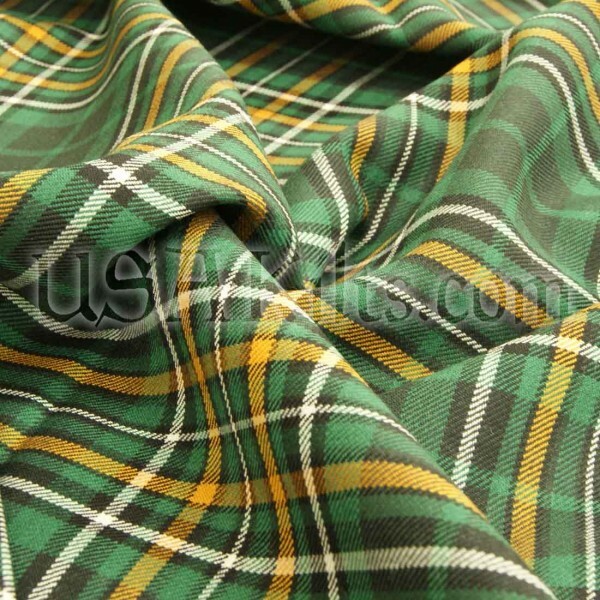 Cloth price is for 'double width' cloth (between 54" and 60" wide, depending on the mill), priced per yard. The material is the finest worsted wool from mills in the UK. This material is great for shawls, scarves, pillows, great kilts, etc. Typically, it will take 4 weeks to ship material, depending on availability.